Originally published by Oxford University Press in the 1890s, the famed three-volume Payne edition of Select Works is universally revered by students of English history and political thought. Faithfully reproduced in each volume are E. J. Payne’s notes and introductory essays. Francis Canavan, one of the great Burke scholars of the twentieth century, has added forewords. 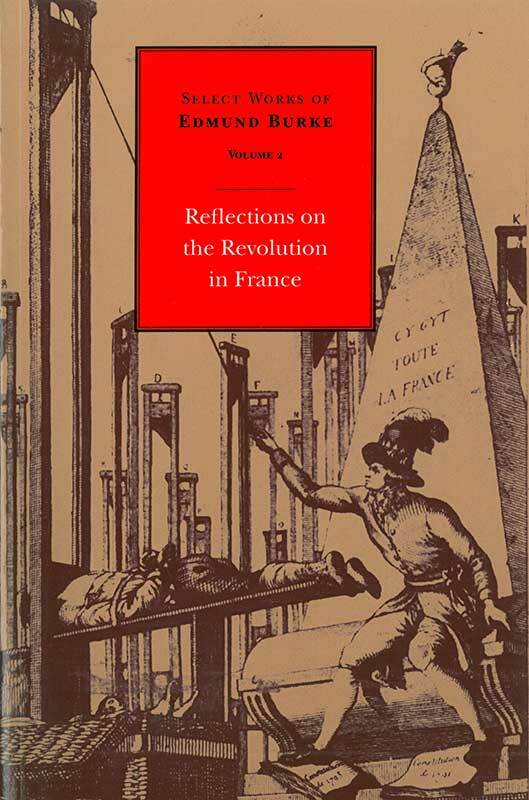 Volume 2 consists of Burke’s most renowned work, Reflections on the Revolution in France. In it, he excoriates French revolutionary leaders for recklessly destroying France’s venerable institutions and way of life. He attempts not only to explain the events of the new revolution to his readers but also to persuade them that the revolution menaces the civilization of Europe in general and that of Britain in particular. In addition, he articulates a coherent political countertheory that organizes his own beliefs about God, humanity, and society. This is Burke’s most famous work, for over two centuries read, discussed, and pondered by thousands of students and general readers as well as by professional scholars. Editor's foreword, editor's note, chronology, introduction by E. J. Payne, 109 pages of notes by E. J. Payne.